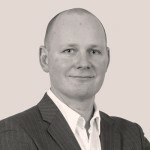 The Clancy Group has appointed Matt Cannon as new Chief Executive Officer. Cannon will take over the helm at Clancy Docwra, Clancy Developments and Clancy Plant Ltd in February. He takes over from Seamus Keogh who is stepping down after nearly 20 years on the board. Cannon represents the third generation of the Clancy family to lead the group founded by his Grandfather, Michael Clancy in 1958. He first joined the group’s civil engineering business, Clancy Docwra in 2004, working across key clients including Thames Water, Anglian Water and South East Water before becoming Chief Operating Officer in 2016. Prior to joining the business Cannon enjoyed a successful career as a professional rugby union player for London Irish and represented England 7’s. 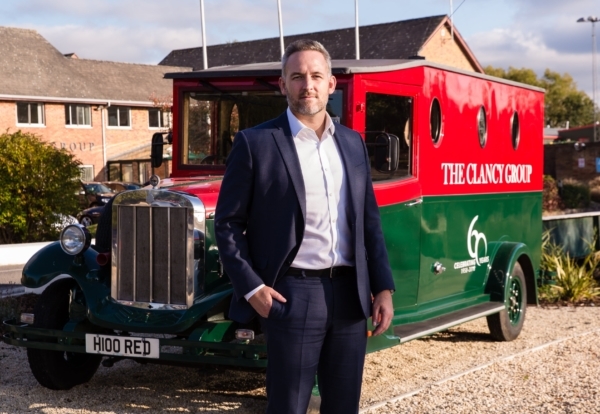 He said: “At The Clancy Group we are incredibly proud of our 60-year success story, underpinned by strong long-standing relationships with our customers, exceptional workmanship and a fantastic team. “My focus will be leading the board to build on these strengths, deepening existing partnerships and developing new ones across our core markets, supporting our customers, and securing our own future growth. “The Clancy Group is a family and I am very proud to follow in my Grandfather’s and my Uncles’ footsteps. The change follows a wider restructure within the group including the recent appointments of Nick Blaber as Chief Financial Officer and Jon Loveday as Chief Commercial Officer. The Clancy Group PLC’s joint chairmen, Dermot and Kevin Clancy, said: “These changes pave the way for the next generation in the Clancy Group’s journey, ensuring we have the team and experience in place to support our vital work of building and maintaining the UK’s national infrastructure. “Our business model of directly employing our workforce sets us apart from the majority of our competitors and those services are in high demand as we enjoy a record secured order book of £1.2 billion. “On a personal note, we wish to thank Seamus Keogh for his huge contribution to the business over the last 30 years, including nearly 20 on the Clancy Docwra board.